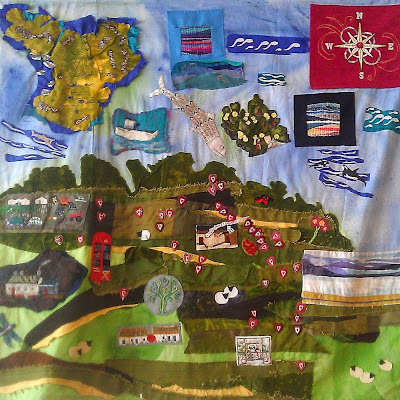 The map project was conceived by Istra Toner, glass artist and painter, together with groups of artists from several different countries. The project is a response to our desire to describe visually our experience of the place we call our home. 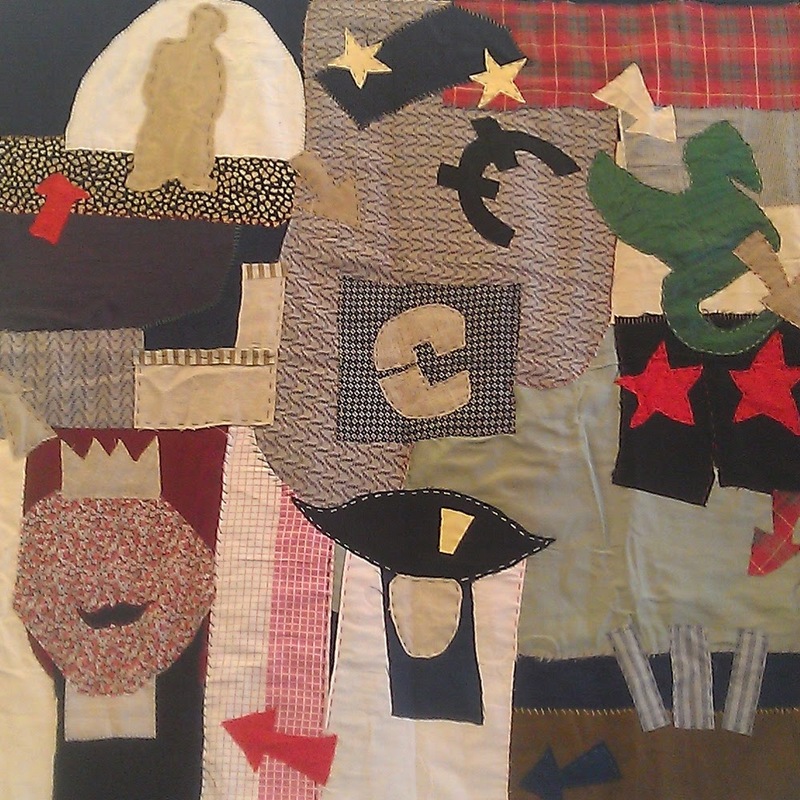 The challenge was to create collaborative maps using textiles as the material of choice. 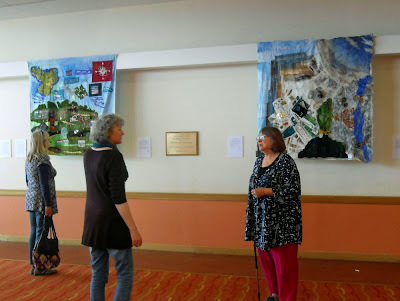 The first exhibition of the project was in Spring 2014; the maps have since travelled to participating partner countries. For more information about the various groups and individual artists please visit the pages for the participating countries. 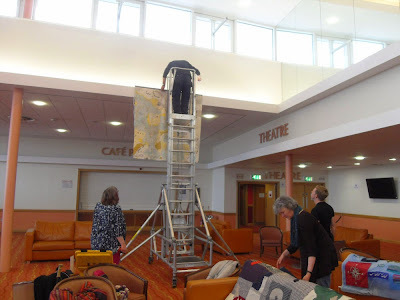 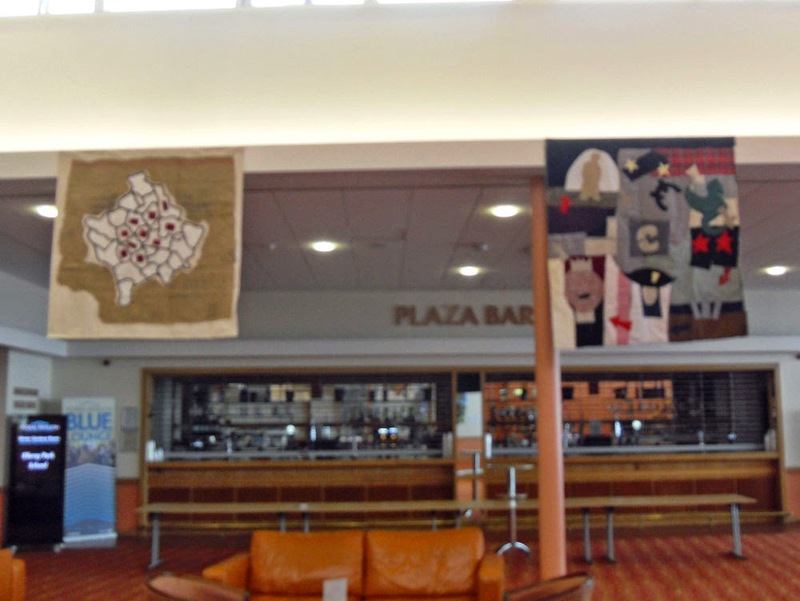 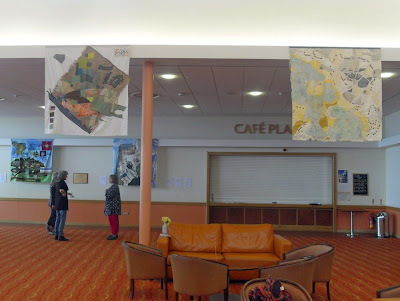 On Friday we hung 3 new maps from Scotland, Slovenia and Kosovo together with the 3 maps from Wirral, Croatia and Montenegro at the Floral Pavilion in New Brighton as part of the Wirral Festival of Firsts. 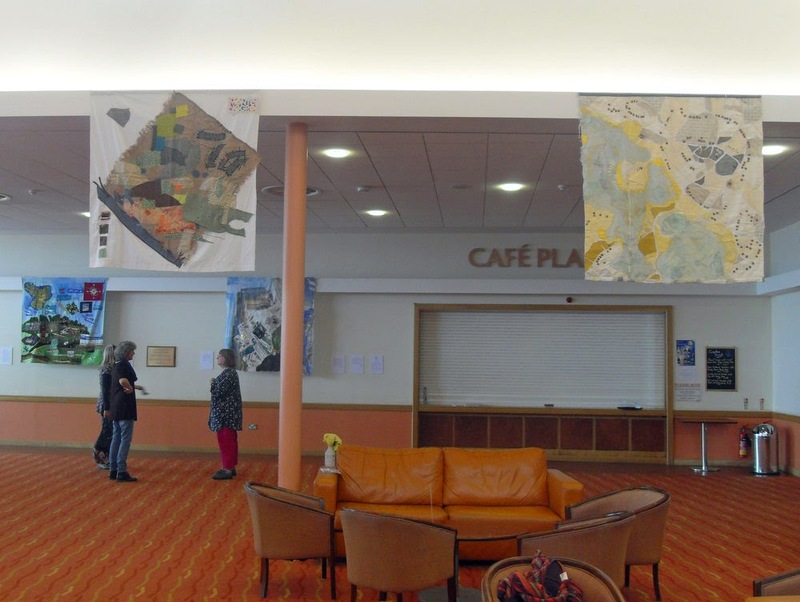 The large airy space is the perfect place to display the maps. 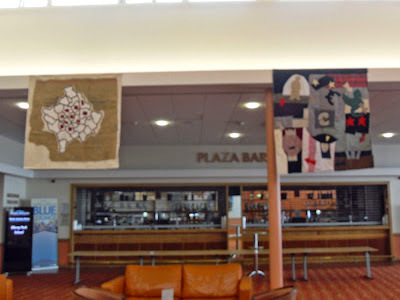 Entry is free and the maps will be on show until 12th July.